One of my favourite films from 2015 was Inside Out, I absolutely adored it. So who doesn't love some merchandise from a film you love, especially when it consists of your favourite character. Disgust is me, I am Disgust. Her character was just hilarious and she's just so sassy. How adorable is this little plush doll though!? 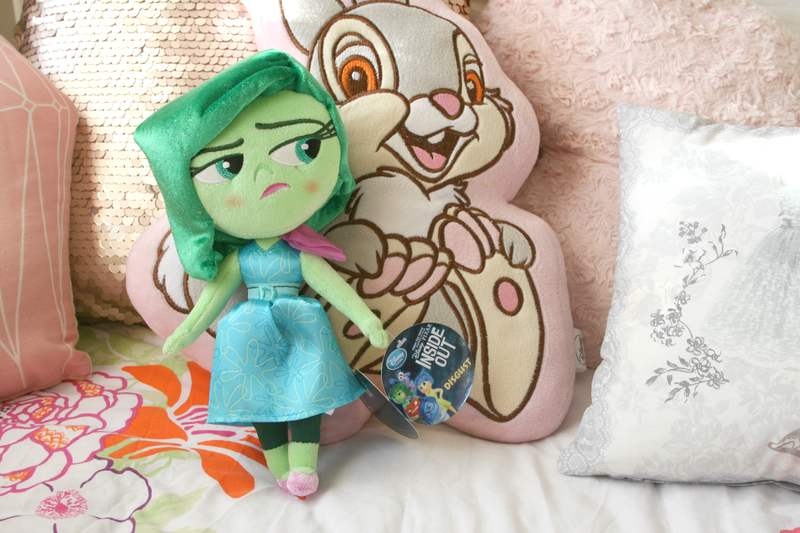 She now has a spot on my bed beside my Thumper pillow which makes me laugh because she's now constantly giving Thumper a disgusted look. Guess she doesn't love him as much as I do! 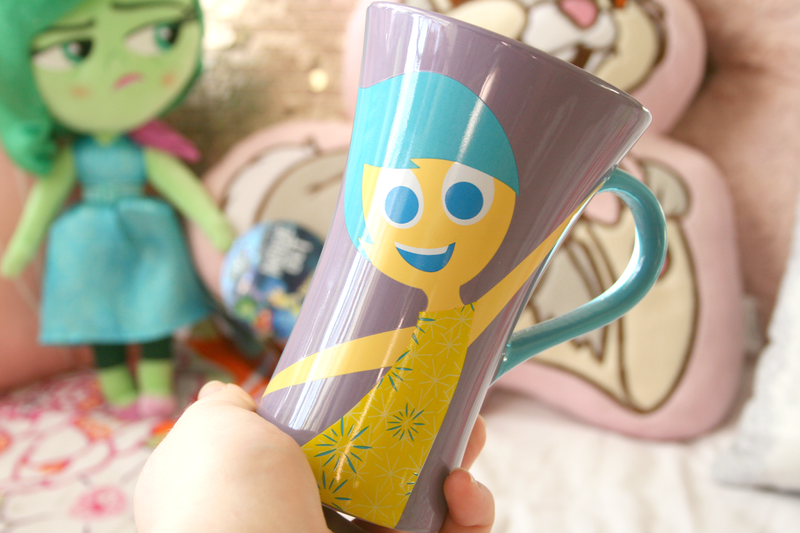 Sticking with the Inside Out theme which obviously made me extremely happy, she also picked up a Joy mug for me. Joy is my other favourite character, you just can't help but love how positive she is about everything. Plus it's a mug and who doesn't love Disney mugs? I waited until I took photos of this before I'd allow myself to use it and now I cannot wait to make myself a cup of tea in it. On the back of it, it also contains the quote "It's a Great Day". How could you not love the cuteness!? When it comes to Youtubers and merch I know it's mixed emotions but personally I love it! Jim Chapman is so lovely (throwback to SITC 2013) and is one of the Youtubers I watch. When he released his line of stationary I knew I wanted the pencil case just because of mainly what it said but I ended up forgetting all about it. It now sits under my iMac holding my pens and pencils for when I need to jot down some notes in my notebooks. 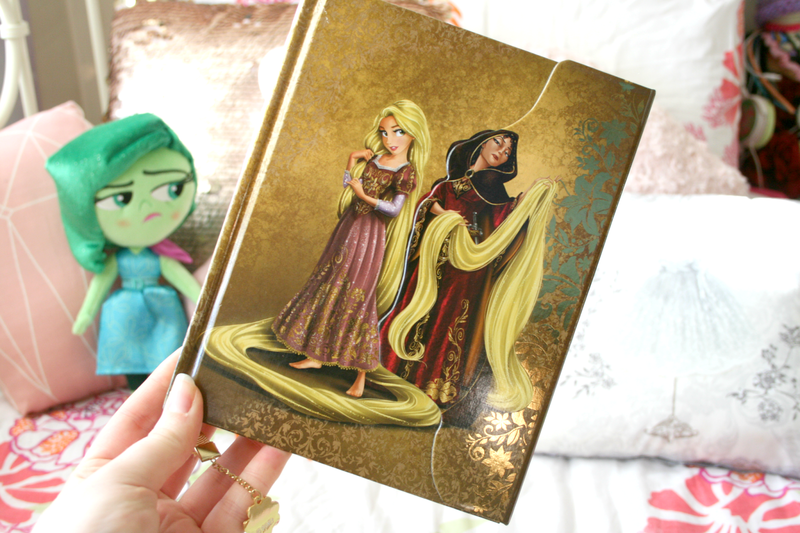 Can we continue to stare at the beauty that is this Disney Fairytale Designer Collection notebook. I have two favourite Princesses, one from the classics (Belle) and one from the more recent films (Rapunzel, obvz). When this notebook was released I fell in love with it but wouldn't spend the money on it to buy it for myself. Honestly it totally went out of my mind until I unwrapped it last week and fell in love with it all over again. I mean just look at it! I cannot wait to start writing my Blogging ideas and notes inside of it. Even the tip of the pages are gold and ugh I just adore it so much. If you're a new reader something you may not know is I adore Halloween, it's my favourite time of the year and everything about it makes me happy. You can even bet my room is decorated for the holiday! Back in September I texted my Best Friend asking her to buy me Halloween things for Christmas and because she's awesome she didn't disappoint. 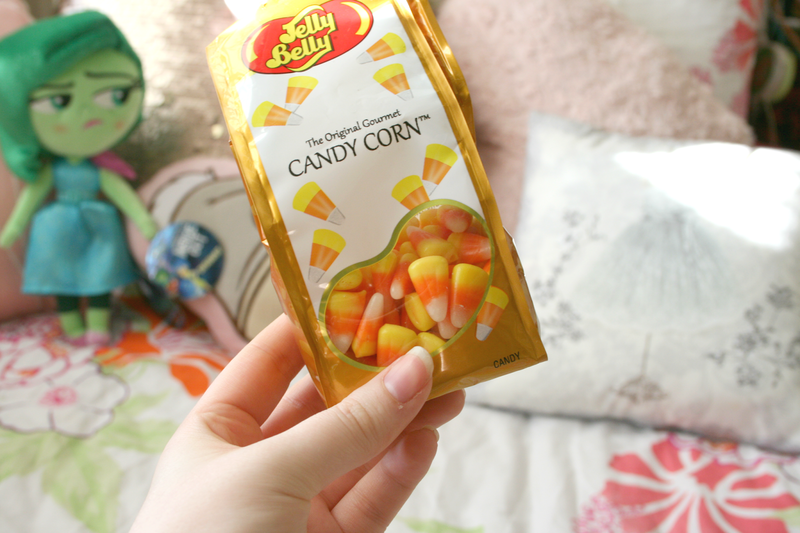 Firstly she bought me a bag of Candy Corn which I had never tried before so I'm sure you could imagine my excitement. 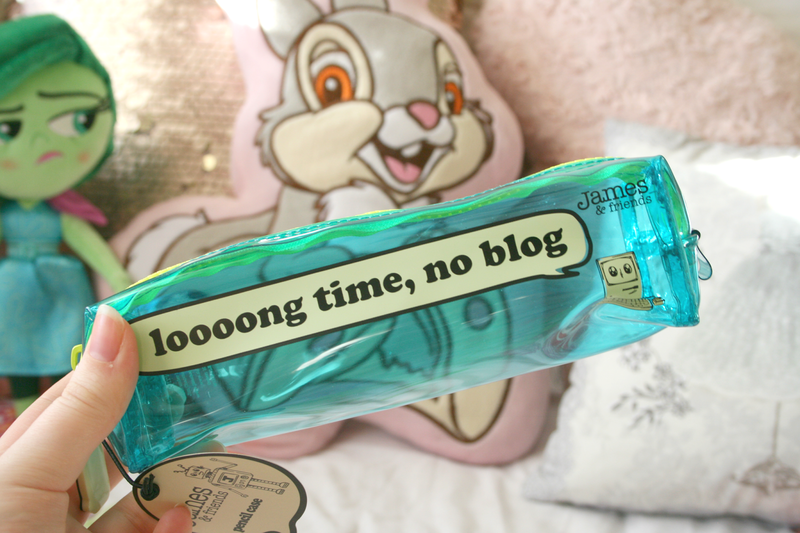 They are so yummy I'm obsessed, they basically taste like fudge in my opinion! 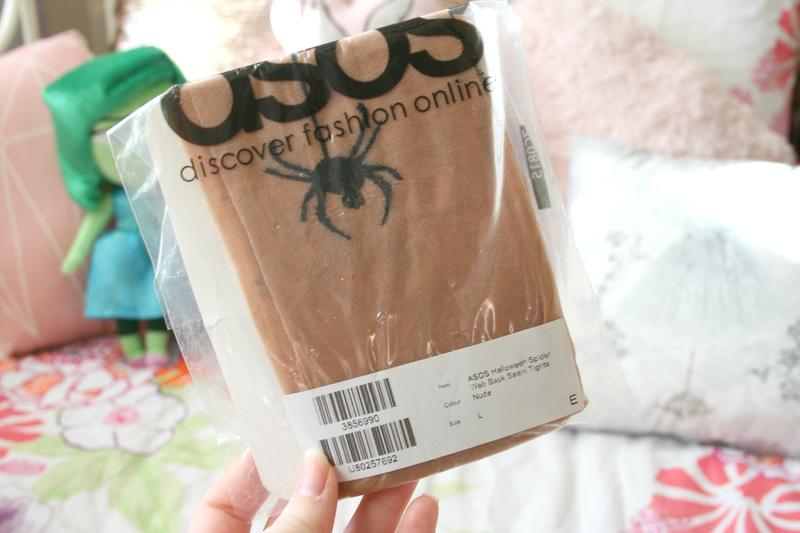 Sticking with the Halloween theme for a bit, she also picked up a pair of tan tights from Asos that have a cobweb and spider on the back of the legs. See what they look like on here Obviously I'm keeping these until October and I am so excited to wear them. They just look so cool and I'm basically planning October outfits right now! 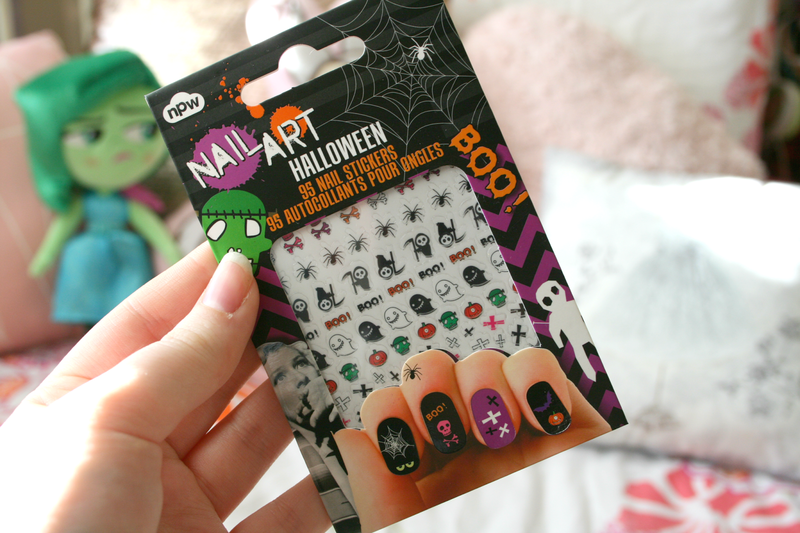 Nail stickers, Halloween nail stickers! What could be better!? I'm so excited to go and paint my nails after writing this post and of course I am going to be putting these on my nails because I cannot wait till October. 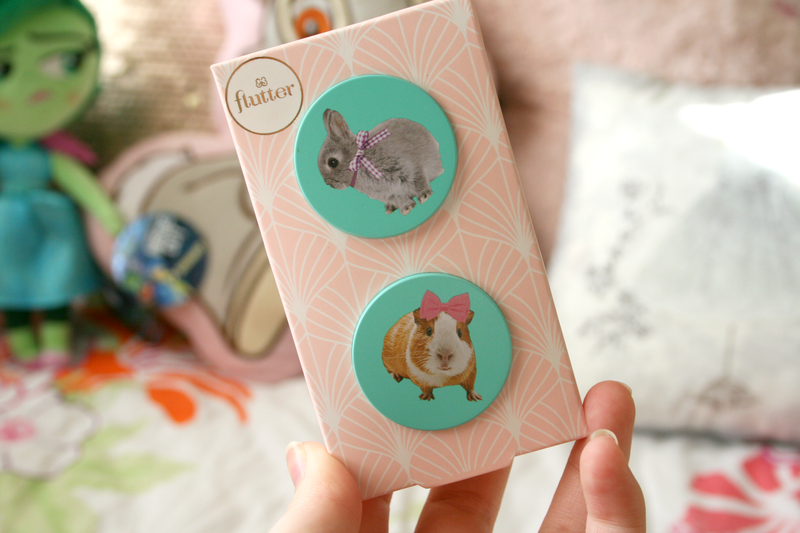 I am so in love with how cute these little stickers are though, just look at those little pumpkin's! 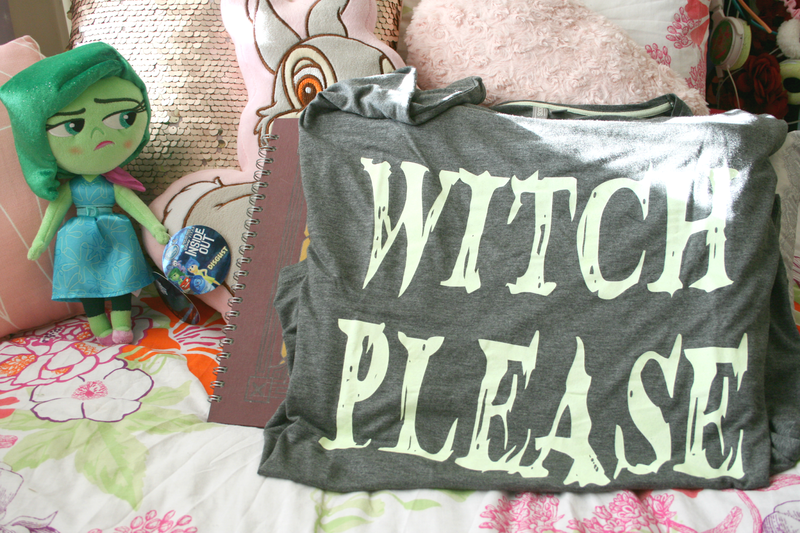 Lastly in the Halloween themed gifts was an oversized t-shirt that says 'Witch Please'! I am so in love with this and have wanted it since seeing it on ASOS and I'm now so excited I own it. Of course I couldn't wait until October to wear this and have already worn it out. ( I posted it on Instagram here)The coolest part about this top is the writing glows in the dark, really you just can't beat that! Something I had seen before Christmas was this little lip balm duo and when I went to order them they had sold out and I was so gutted. 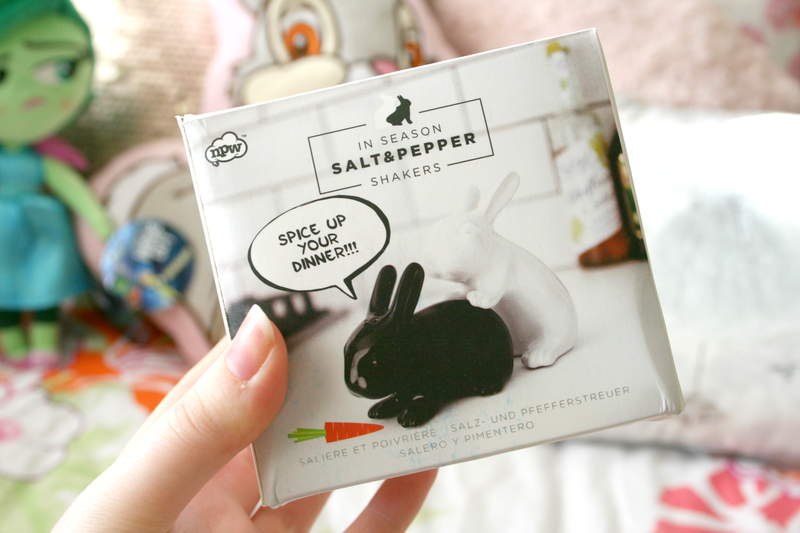 However I got so excited when I opened this because c'mon could a product be anymore me! Like a Bunny & a Guinea Pig! It's perfect and just look at how cute they are who wouldn't want these sitting on their desks. My best friend even laughed at how excited I got over this because it was the cheapest one. 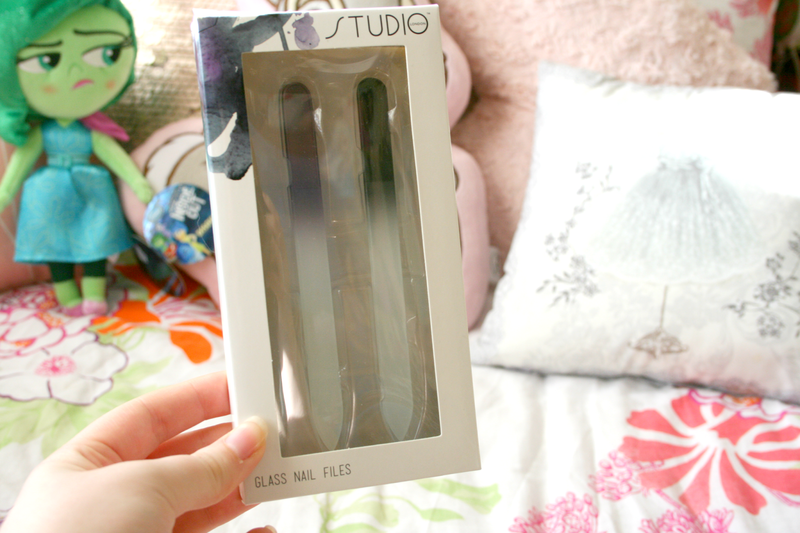 Something that I hadn't seen before and are still confusing me are this duo glass nail file set. Like nail files that can file your nails..but they're glass. Honestly my mind is blown. They look really cool though and when I filed my nails with them I kind of just stared in amazement because well because they're glass! Lastly she made me a huge scrap book full of memories which I didn't want to share here but of course I did have to show you all the cover she done. She copied the Once Upon A Time book from the tv show and I think it's so amazing looking. I love gifts like these as all the memories they hold inside are just so lovely to look back on! Have you any friends you still have to swap Christmas gifts with yet? So many of these gifts are thoughtful and lovely. 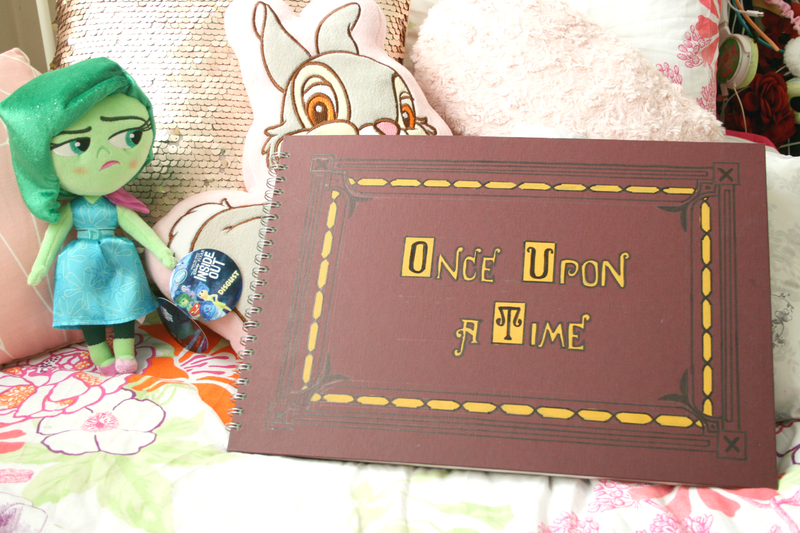 Especially the memory book that's themed to look like Once Upon a Time!